The cruel PK rounds begin, eliminating eight contestants in one night. The PK rounds are upon us and in this episode, it is obviously, it is rock-themed (or rather, Wang Feng -themed). Be prepared for quite a lot of heart-thumping, motivational songs. This season truly begins at this point, as some of the contestants appear to have been polished to quite awesome performers. 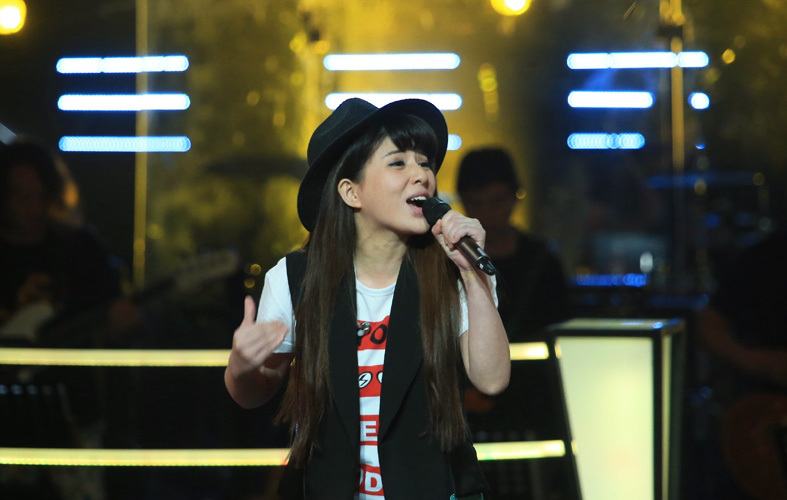 The Dream Judge assisting Wang Feng is G.E.M Tang, who is only 24 years old this year, but her songs have been crazily popular within the Mandarin Chinese pop industry across all the countries that listen to C-pop... China, Taiwan, Hong Kong, Singapore, Malaysia... who doesn't know her? 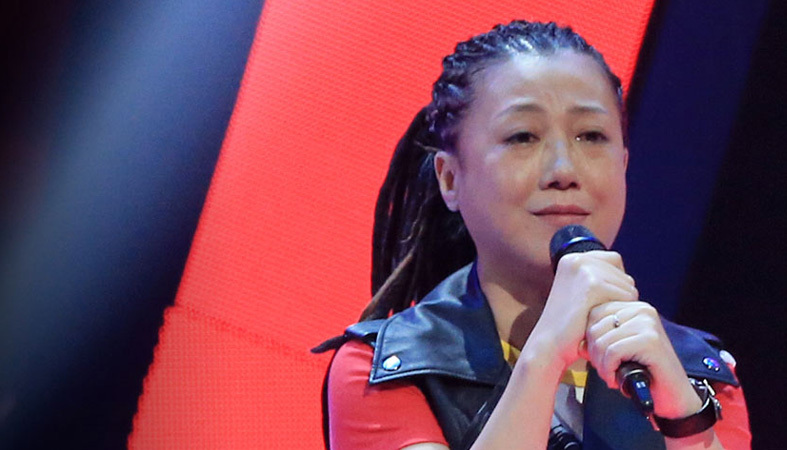 Her style of judging is pretty much very straightforward, and she doesn't choose contestants to 'console' them when she has to advise Wang Feng on who to choose. Yang Bao Xin and Zhang Bo Lin's opening performance - Jailhouse Rock didn't manage to highlight both their original standard that they showcased in the blind auditions. There wasn't much chemistry between them but sounded more like they were trying to outdo one another. Picking an English song in which they could hardly articulate the words was a hindrance both to singing and listening. Zhang Bo Lin wins this round. Huang Xiao Yun and Wang Fei Xue's very soothing I Believe is the beginning of the upsetting eliminations, because both of them are really good in their own ways. Huang's voice is definitely more contemporary, but Wang's is thicker and more classic. Both voices melded together beautifully, though the choreography of the song is not as interesting as previous seasons. Huang Xiao Yun wins this round. The next pair - Xu Zhe and Bie Ri Ke's 曾经的你 reminds me of very good music bar performances, but I really enjoy this pair that really focused more on creating a harmonious performance rather than outdoing one another. First goosebumps of the night! Xu Zhe wins this round. Surprisingly, my second favourite pair of the night goes to Huang Yong and Lin Yan, as they sang 從頭再來 which was one of the songs that I would re-play and re-play. Super fun and cutesy song that I totally didn't expect this pair to manage since they aren't thaaat young anymore. But they pulled it off so well. A very difficult decision to make between these two. It's interesting how Wang Feng hardly pair up couples unless absolutely necessary - there aren't exactly the same number of men and women in the team. Huang Yong wins this round. The night gets better with 少年錦事 by Zhang Xinxin and Huang Kai, both of whom understand to support each other throughout the song. 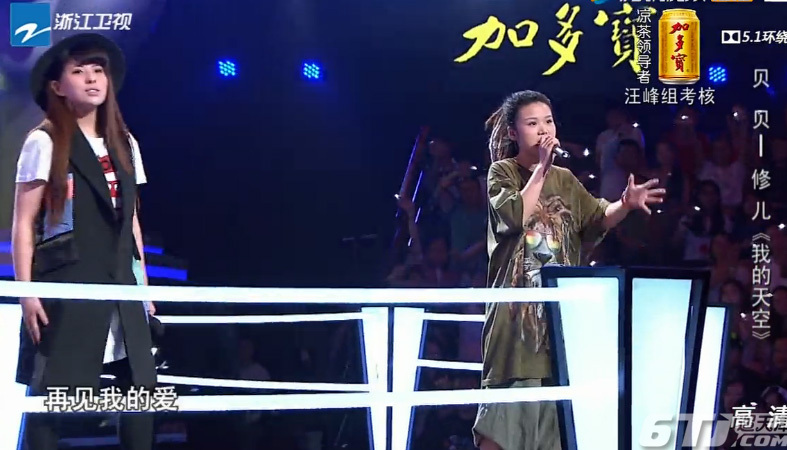 Zhang Xinxin's voice is significantly better than Huang Kai, which I find that it's a little unfair to pair them up this way, but I guess that's how the competition is supposed to be. Zhang Xinxin wins this round. The song that I will keep on replaying till my Youtube videos hang - 我的天空 by Bei Bei and Xiu Er. This is the kind of standard reminisce of the previous seasons. I don't want to say it but this season is slightly lackluster, and finally there's something to show for. Such an unlikely chemistry between the little wild girl Xiu Er and the polished Bei Bei, and I must say while Bei Bei's voice has more potential to go further in the competition, I love Xiu Er's style of performance which is so comfortable to watch. It was very touching to watch the post-performance conversation too. Bei Bei wins this round. 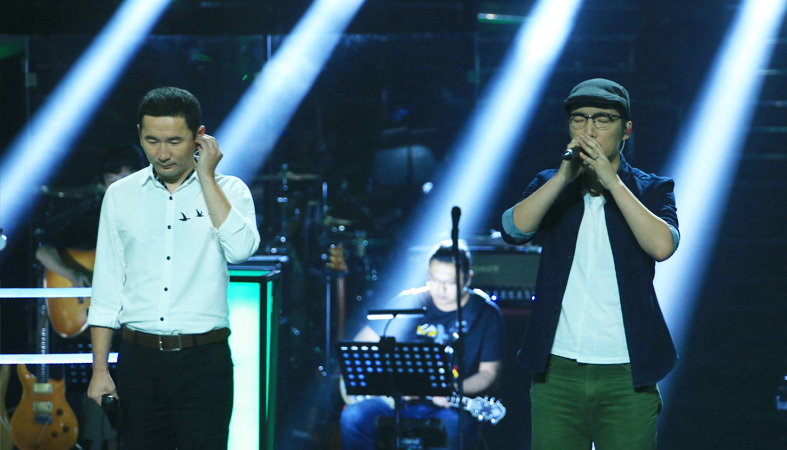 After the Top 6 emerged, they undergo another impromptu pairing as they performed their solo songs. 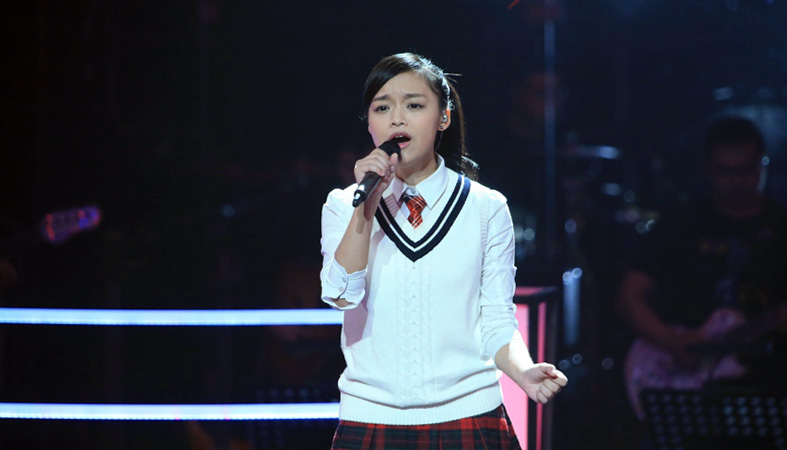 The performances that I really loved included Huang Xiao Yun's 鱼, a song that first appeared on Voice of China by Yao Bei Na. The best of covers happened too - Bei Bei's 存在 is so good, there's really nothing much to fault at all and I was completely in awe! However, when her PK opponent Zhang Xinxin sang 恆星, it is such a crazy feeling - they were both being so good at Wang Feng's songs, they are definitely better than the originals and anyone else who came before them. 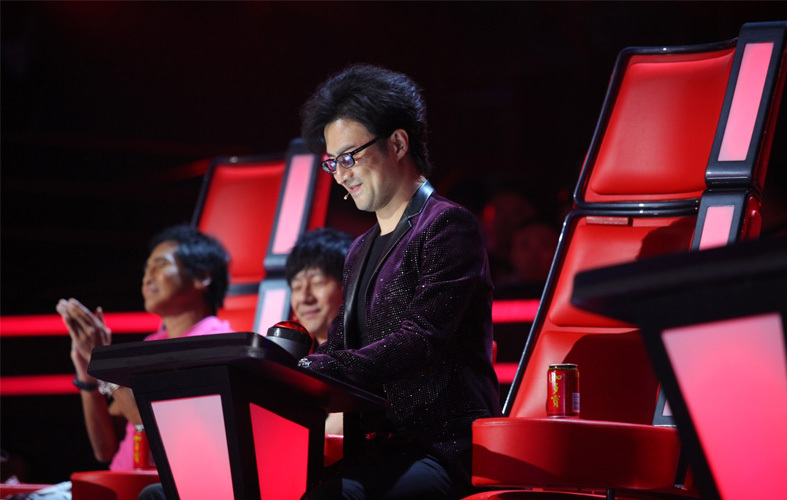 These three performances are the one to look out for in this episode.